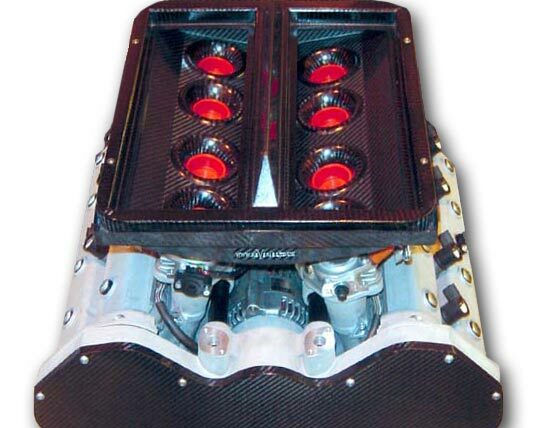 ReVerie were approached by Russell Savory of Motopower to develop several parts for a new 2.0L and 2.4L 40V V8 Engine. These included an airbox with moulded-in trumphet bases, twin filter tray to accept high flow K&N elements and either a box lid that could be fitted with snorkels for mid engine locations, or a bonnet scoop for front engine applications with Caterham in mind. A Bare Chassis with engine in Situ, Bonnet, Scuttle and Nose cone was provided. ReVerie then CAD modelled a suitable base and filter tray and had a male base tool CNC machined from high temperature tooling block. As it was deamed as a prototype only, the later production part would be plastic. The filter filter tray was a development of the item used on our Ultima GTR downdraft airbox and therefore the tool already existed. A box lid for the snorkelled applications was patterned by hand from painted MDF and a high temperature GRP tool made inhouse (not shown). The bonnet scoop was again a hand machined pattern and a composite pre-preg tool was made as volume production was envisaged, no prototype required straight to production. 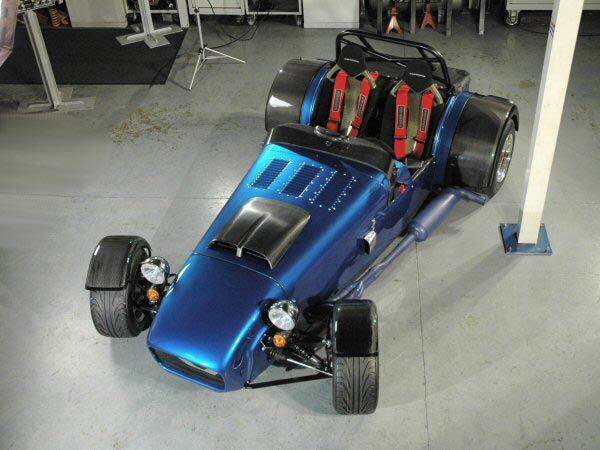 ReVerie then trimmed and fitted the airbox to the first RST V8 demo caterham. Modifications to raise the filters higher and bring the trumphets higher away from the base here again, done at ReVerie to help increase performance, lessons learnt from local Dyno testing. We also produced patterns and tooling for a shallow and deep V8 timing drive cover. The cover and scoops are now production parts available exclusively from motopower, produced by ReVerie. 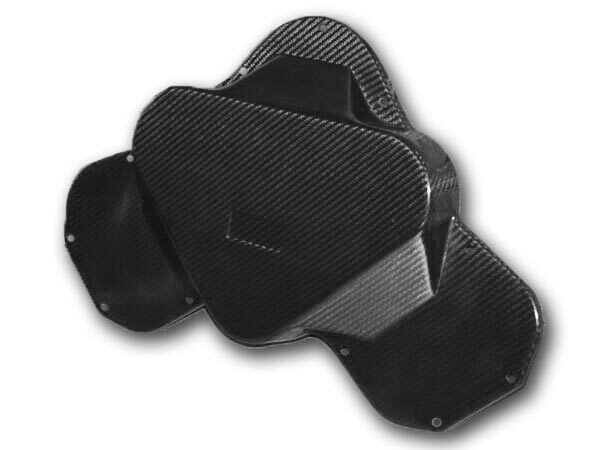 The prototype carbon airbox having now proved successful, has become a volume plastic part produced elsewhere to keep costs lower, please contact motopower for supply. Below are images of the RST V8 Deep Timing Belt Cover and CAD drawings. More images will become we gather them.